How will you be understood by locals during your trip in Thailand ? Thai is the official language but Thailand is a very toruistic country so you will not have any difficulties to find someone who speaks English (except in really remote areas). So if you speak a little English, you should have no trouble to make yourself understood while traveling in Thailand. No need to be perfectly billingual, just know how to ask for directions, order food, book a room... I still advise you to learn some thai phrases and basic words or use smartphone apps to speak or translate Thai for you (see below). Thai language is very different from our Western languages. It has sounds and intonations that we often have many difficulties to differentiate and reproduce but also a specific alphabet. Thai sounds are quite different from those to which we are used to and the language is based on 5 different intonations which can radically change the meaning of a word and can in some cases mean the opposite. Grammatically Thai is a fairly easy language. Thai alphabet is composed of symbols with curves and spirals. It contains 44 consonants and 32 vowels, but some are obsolete. In short, you'll understand that learning Thai language is far from easy! It is highly appreciated that a tourist arriving in Thailand knows a few thai words to greet and thank for instance. 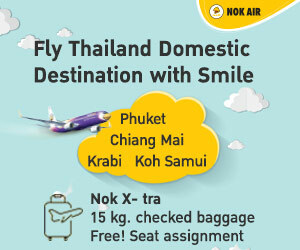 I give you some expressions that if you make the effort to use, should trigger the famous Thai smile and an even warmer welcome. Note that in Thai, men end their sentences with the word 'krap' and women with 'kha'. ... you ti naï ? Does this bus go to Chiang Mai ? Rot mae nee paï ti Chieung Mai maï ? Does this train go to Chiang Mai ? Rot faï nee paï ti Chieung Mai maï ? Say sip for 10, add 4 in front of it to say 40, 3 for 30 ect... And the unit figure after.